How much does Syria spend on military? The Syrian Armed Forces spent a lot on their equipment but they also spend a lot on their manpower. The military forces of Syria include the Syrian Arab Army, Syrian Arab Navy, Syrian Arab Air Force, Syrian Arab Air Defence Force, as well as several paramilitary groups. The armed forces are so important to the Arab state that the President of Syria is the Commander-in-Chief. How much does Syria spend on military forces? Syria spend a staggering $2.4 billion dollars a year on their armed forces. That works out at 4.1% of the country’s GDP. To put that into some sort of context, the UK spends $62 billion a year but that only works out at 2.6% of the nation’s GDP. Across the globe the annual spend on military costs is $1.7 trillion. The Americans account for $711 billion of that figure. They far outstrip all other nations in military spending. China in second place only spend $142 billion on their military forces. Places like Libya and Burundi officially spend nothing on their military forces, but it’s more likely that they’re reluctant to tell the world what their armed forces cost them. Let’s go back to Syria’s military numbers for a minute. They’ve been spending $2.4 billion for a while now which suggests that the number’s an operating cost rather than a cost attached to building an army, navy and air force. Back in 1988 they spent $1.1 billion but in those days they didn’t have insurgents to battle. The years of civil war has forced more than four million to flee the country but their army still relies on conscripts to make up the numbers. 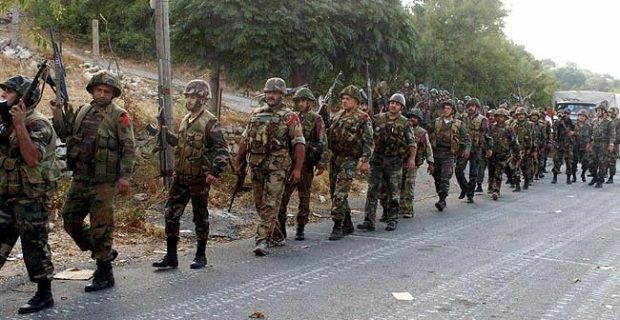 The Syrian Army has 125,000 personnel at this time, and 200,000 reservists. The navy has 4,000 regular and 2,500 reserve officers and men. The personnel numbers for the air force are not as readily available but 15 air bases help to drain a lot of the $2.4 billion annually spend on the armed forces.